This presentation will describe and illustrate conditions and practices needed to invite and encourage native bees and honey bees into your yard and garden. You will also see photos of specific plants which, grown together, can provide year-round food sources for a wide variety of bees. This informative talk will be given by Deborah Cuttingham. Deborah is a landscape designer committed to environmentally appropriate landscapes. She has a degree in Landscape Horticulture from Cabrillo College. 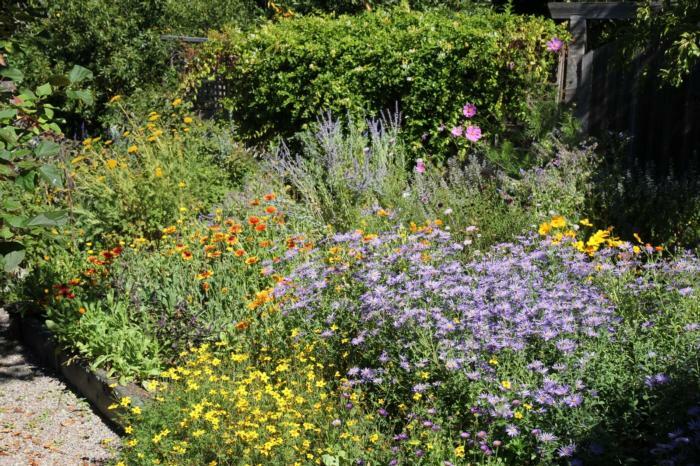 Her home landscape includes California Natives, selections from other Mediterranean climates and edible plants. She is a recently retired Santa Clara County Master Composter (after 22 years). Please arrive 15 minutes before class to check-in. No Fee for class.